AZMOL Diesel Plus 20W-50 – universal motor oil of the class a HPD (High Performance Diesel). Designed for use in a wide variety of vehicles, both diesel and gasoline engines of cars, light trucks and minibuses, as well as commercial trucks to the most heavily loaded machines. 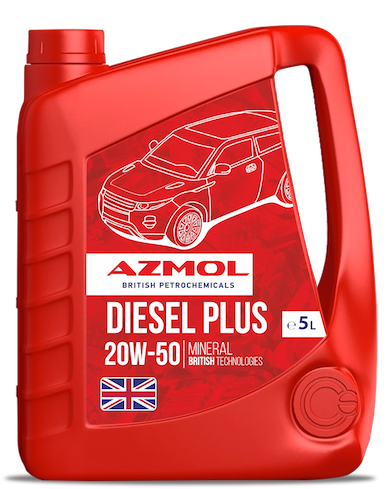 Mineral oil AZMOL Diesel Plus 20W50 is recommended for vehicles with high mileage. Due to its viscosity, it can be used in high temperature conditions. prevents the formation of high-temperature (varnish) and low-temperature (sludge) deposits.